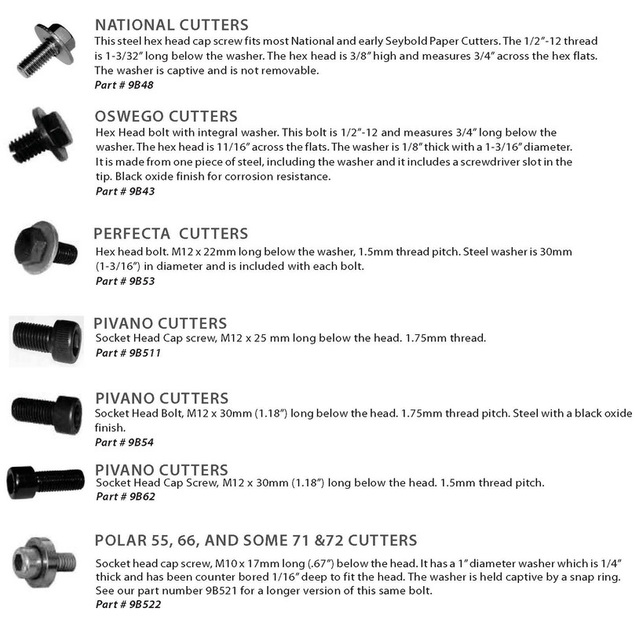 Jorson & Carlson has a large inventory of Knife Bolts for a wide variety of paper trimmers and guillotine cutters including knife bolts for older Polar guillotine cutters and newer models of Polar. 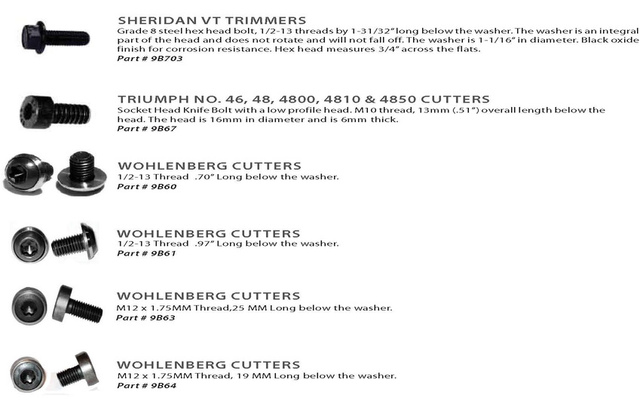 Other popular knife bolts such as Challenge,, Chandler, Horizon, Itoh, Lawson, Perfecta, Pivano, Prism, Perfecta, Polar, Schneider, Seybold, Sheridan, Triumph and Wohlenberg trimmers and cutters. 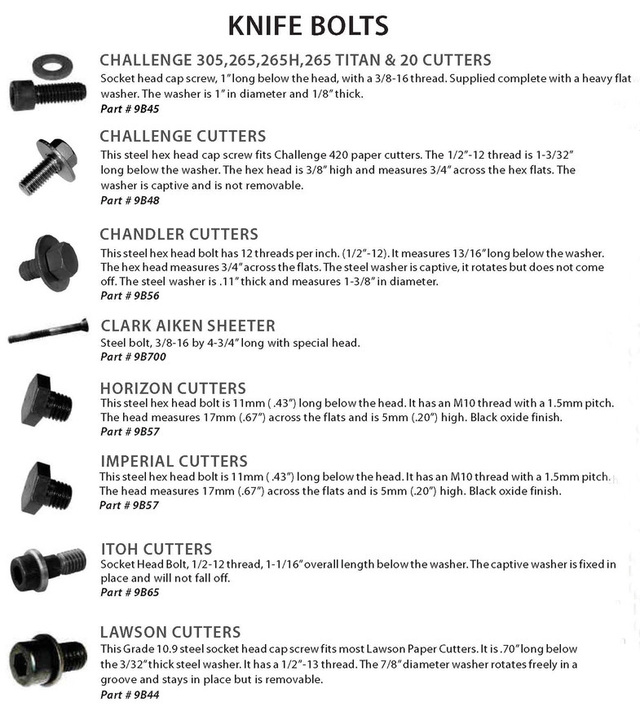 All Knife bolts are manufactured to OEM specifications. 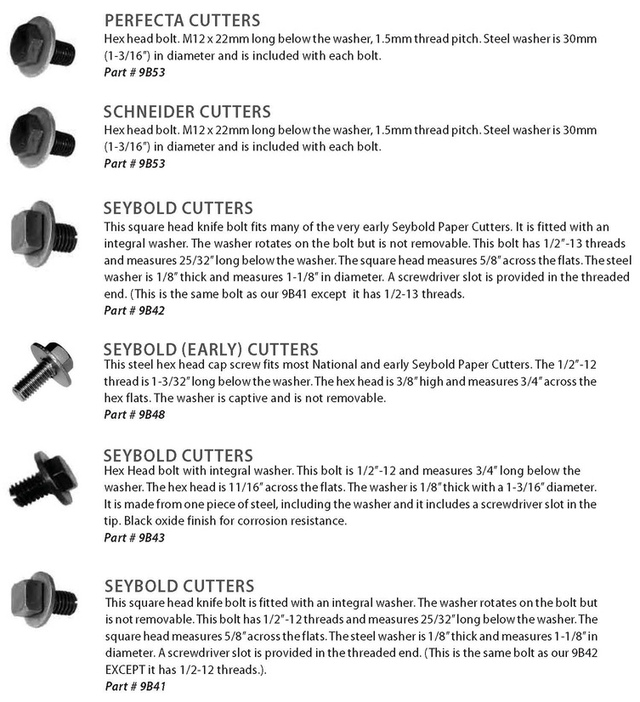 Find you knife bolt for your specific cutter below and call us at 866.327.5136 or email us for pricing. This steel hex head bolt is 11mm ( .43”) long below the head. It has an M10 thread with a 1.5mm pitch. 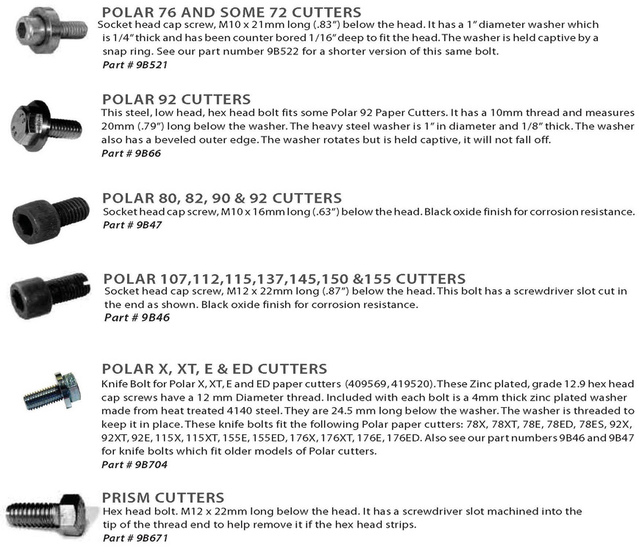 The head measures 17mm (.67”) across the flats and is 5mm (.20”) high. Black oxide finish.